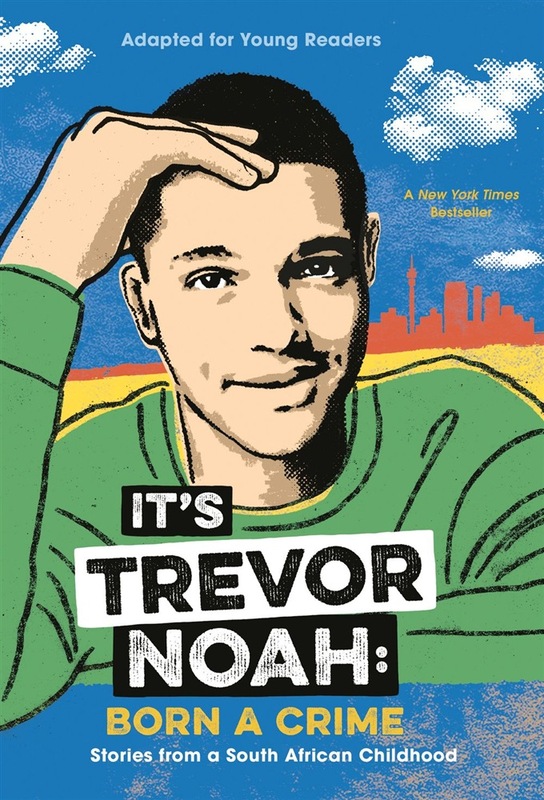 **The host of The Daily Show, Trevor Noah, tells the story of growing up half black, half white in South Africa under and after apartheid in this young readers' adaptation of his bestselling adult memoir Born a Crime: Stories from a South African Childhood. BORN A CRIME IS SOON TO BE A MAJOR MOTION PICTURE STARRING OSCAR WINNER LUPITA NYONG'O! ** Trevor Noah, the funny guy who hosts The Daily Show, shares his remarkable story of growing up in South Africa, with a black South African mother and a white European father at a time when it was against the law for a mixed-race child like him to exist. But he did exist--and from the beginning, the often-misbehaved Trevor used his keen smarts and humor to navigate a harsh life under a racist government. This compelling memoir blends drama, comedy, and tragedy to depict the day-to-day trials that turned a boy into a young man. In a country where racism barred blacks from social, educational, and economic opportunity, Trevor surmounted staggering obstacles and created a promising future for himself, thanks to his mom's unwavering love and indomitable will. It's Trevor Noah: Born a Crime not only provides a fascinating and honest perspective on South Africa's racial history, but it will also astound and inspire young readers looking to improve their own lives. Acquista It's Trevor Noah: Born a Crime in Epub: dopo aver letto l’ebook It's Trevor Noah: Born a Crime di Trevor Noah ti invitiamo a lasciarci una Recensione qui sotto: sarà utile agli utenti che non abbiano ancora letto questo libro e che vogliano avere delle opinioni altrui. L’opinione su di un libro è molto soggettiva e per questo leggere eventuali recensioni negative non ci dovrà frenare dall’acquisto, anzi dovrà spingerci ad acquistare il libro in fretta per poter dire la nostra ed eventualmente smentire quanto commentato da altri, contribuendo ad arricchire più possibile i commenti e dare sempre più spunti di confronto al pubblico online.